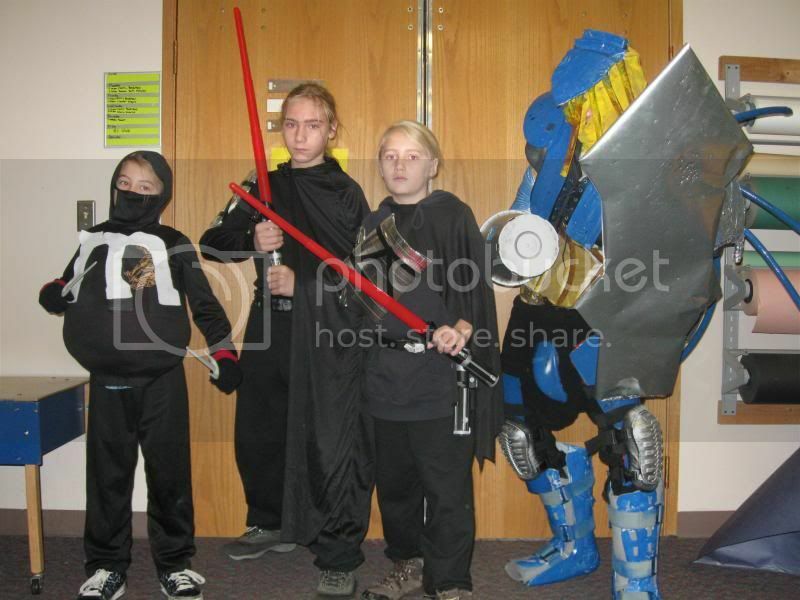 Shane the M&M Ninja, Travis and Daniel the Siths, and Joseph the something from Halo that I can't pronounce let alone spell. I could the m&m costume without needing the padding. Happy Halloween to you and your family Hog. Happy Halloween! 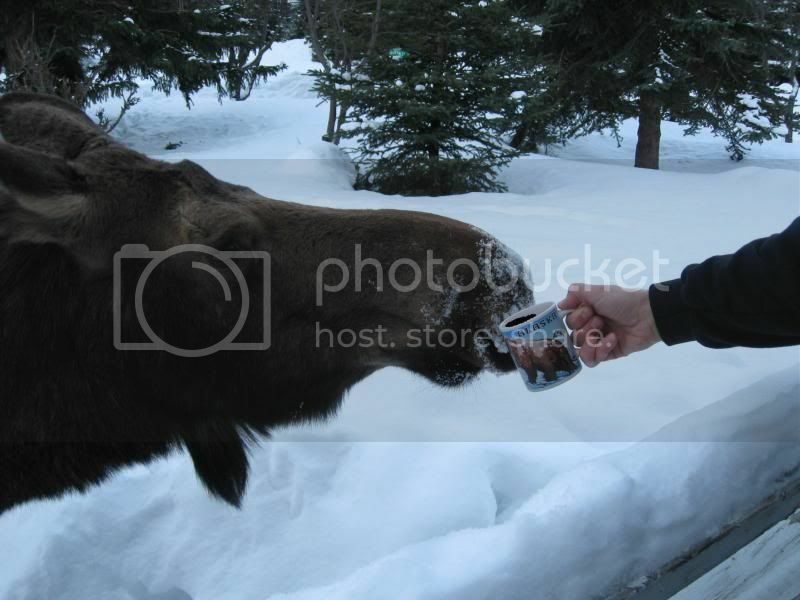 Just wondering, do moose like chocolate? Didn't Ken dress up as anything today? Every day is Halloween for Ken. Nope...not even hot chocolate.....just coffee. Kind of like feeding cows grapefruit. I'm going to be up all night. In the rain. Working. Wouldn't be so bad if it was clear skies and I could maybe see some northern lights. Wow that one outfit looks like he could go right into battle and come out unscathed. That is quite a suit of armor! That one suit of armor looks like he could come through any battle unscathed!